One of the most misunderstood Aspergers (high functioning autism) behaviors is the meltdown. Frequently, it is the result of some sort of overwhelming stimulation of which cause is often a mystery to moms and dads and teachers. They can come on suddenly and catch everyone by surprise. Aspergers kids tend to suffer from sensory overload issues that can create meltdowns. Kids who have neurological disorders other than Aspergers can suffer from meltdowns, too. Unlike tantrums, these kids are expressing a need to withdraw and slowly collect themselves at their own pace. Kids who have tantrums are looking for attention. They have the ability to understand that they are trying to manipulate the behavior of the others, caregivers and/or peers. This perspective taking or "theory of mind" is totally foreign to the Aspergers youngster who has NO clue that others cannot "read" their mind or feelings innately. This inability to understand other human beings think different thoughts and have different perspectives from them is an eternal cause of frustration. 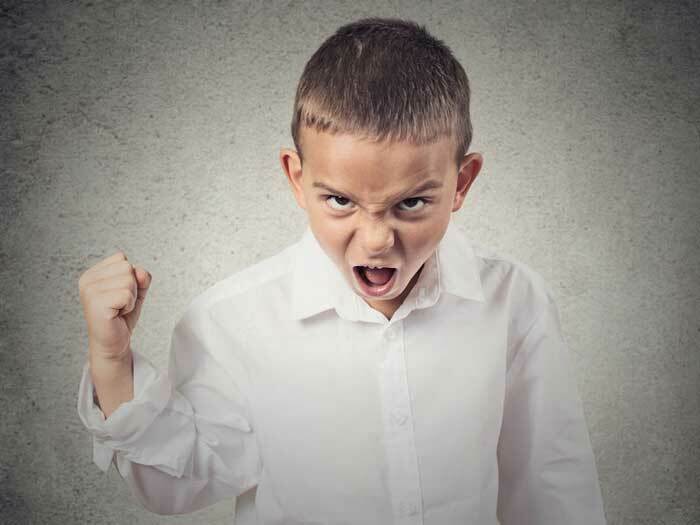 A tantrum in a youngster who is not Aspergers is simple to handle. Moms and dads simply ignore the behavior and refuse to give the youngster what he is demanding. Tantrums usually result when a youngster makes a request to have or do something that the parent denies. Upon hearing the parent's "no," the tantrum is used as a last-ditch effort. Effective parenting -- whether a youngster has Aspergers or not -- is learning that you are in control, not the youngster. This is not a popularity contest. You are not there to wait on your youngster and indulge her every whim. Buying her every toy she wants isn't going to make her any happier than if you say no. There is no easy way out of this parenting experience. Sometimes you just have to dig in and let the tantrum roar. 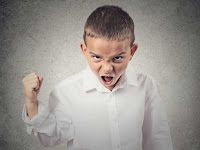 If the tantrum is straightforward, the meltdown is every known form of manipulation, anger, and loss of control that the youngster can muster up to demonstrate. The problem is that the loss of control soon overtakes the youngster. He needs you to recognize this behavior and rein him back in, as he is unable to do so. A youngster with Aspergers in the middle of a meltdown desperately needs help to gain control. During a meltdown, a youngster with Aspergers does not look, nor care, if those around him are reacting to his behavior. Another cause of a meltdown can be other health issues. One example is a youngster who suffers from migraines. A migraine may hit a youngster suddenly, and the pain is so totally debilitating that his behavior may spiral downward quickly, resulting in a meltdown. Watch for telltale signs such as sensitivity to light, holding the head, and being unusually sensitive to sound. If a youngster has other health conditions, and having Aspergers does not preclude this possibility, behavior will be affected. Oh my goodness! Do I sooo ever know the "melt down"
Does anyone have advise as to what to do when they are out of control and kicking, punching, etc? I am 6 months pregnant and my son has come close to physically hurting me in a meltdown but I can't let him get hurt or hurt his 19 month old sister too. He just isn't aware of his surroundings when he's in this state and it's hard to ignore. we have used 'chilll out' techniques like swinging or putting on his weighted vest. These only work if you can catch it in its early stages tho. thank you for posting this! Lately it feels like everyday :( We're military and getting ready to move in 9 days, there's a lot of stuff in boxes and things are changing. He understands we're moving into a new house with a big back yard, and he's very excited about it... but I believe the change is setting him off much more than usual. Ok so when this meltdown is by a child as big as you and is very buligerant and violent .....then how do you help him? And yourself? I have two sons with meltdowns. I've made this top priority with their therapists. Remember what works for one Aspie might not work for the other. You have to figure out what works by trial and error. Best thing is to head it off when you see it coming. For my younger son we have a cool down clubhouse. He also plays in it when not having a meltdown. It is his area alone. Its a pop up tent filled with sensory things and other things he likes to do. Worked wonders. My 11 year old I made him responsible for his actions and made him aware of how it looks when he has a meltdown. When I see it coming I leave him alone and talk about his behavior when he is done. You can't talk with them when they are melting down so you have to do it in a safe time. With the help of their OTs giving them other tools we are almost meltdown free! I've made them aware of it so they can now see it coming ad head it off themselves. my 11yr old hasn't had a meltdown for awhile, which is a good thing...but when he does...it is so exhausting and upsetting to see...the only thing you can do is make sure they are safe...I find holding him tight can help him settle quicker!!!! I agree with the holding tight. I wouldn't leave an upset child by themself let alone an aspie in meltdown. Imagine being upset as an adult and everyone ignores you or tells you to go to your room. I know I wouldn't like it. Imagine how much more hurt a chold would be. Very sad. when my oldest is in a meltdown and kicking & hitting, I walk away. DO NOT FORCE HIM TO ENGAGE WITH YOU. If you have to go to another room w/ your daughter, do so. He will calm down eventually. That's what works with my son. Like a previous poster said, what works for one aspie may not work for another. For me, as a parent with aspergers, when I'm having a meltdown, I need everyone to leave me alone. I will go to my room and hide. I'm ok with my aspie friend being present, and my husband being present, but nobody else gets to see me in meltdown mode. I just need time to myself. My little guys been "off" since after Christmas. I thought we were past the meltdowns, but lately its been happening a lot. He is trying to control everything and if its not exactly how its "supposed" to be he can't handle it. It's tough right now, I feel like were back at square one. I agree with the hilding tightly. With my guy (he's 7 ) I can either hug him or put my arms around his shoulders and whisper to him "Mom's here It's ok now do your breathing" We taught him meditation, yoga, & Tai chi to self soothe. NOW sometimes he replies back "That does't Really work." Ususally that thought is enough to distract him & start calming him down. I can't hold him tightly right now. I'm 6 months pregnant. When he kicks and swings, I get hurt. I just set him in time out but it takes forever for him to calm down and it's hard to listen to him. Try wraping him in a blanket maybe? That would 'hug' him without you getting hurt. They sell weighted blankets too. The weighted vest has worked wonders for us. i had to deal with meltdown in the middle of the dr's office with a 5'2" 180 lb 11 yr old...The only thing I could do was call his dad...if u can catch iot as u see him start, sometimes I can talk my son down, I have to get him alone, and in a quiet safe place. then I start by speaking to him slowly and calmly, and try to talk out why he is freaking....sometimes it is just me talking and him still freaking out, but usually the calming tones (almost as if singing a lullaby) work. If not sometimes I just have to put him in an area by himself and let it run it's course. We live in a small apartment in an urban area with nosy neighbors who like to complain about the meltdowns. It is very invasive and embarassing. What is worse is that also because my daughter has auditory processing issues, I often have to raise my voice just to get her to respond to me. It sounds like I'm mad and I'm yelling at her, but I'm not, I'm just trying to get her attention after calling her 20 times at a normal tone of voice. Also, if I'm sick or exhausted (i'm a single parent), I'm only human and yes, sometimes I WILL yell because I'm mad! But the meltdowns... OMG yes... I could tell you stories... was almost kicked off a bolt bus once after my daughter had a meltdown because the wifi wasn't working. She will yell things that sound so spoiled, abusive and horrible, that she would never say when her mind is working properly... she will scream, kick, hit, punch. People think I'm a terrible parent, or that she's a terrible child. Even explaining that they are autistic doesn't help. Later on she will forget (selective amnesia) or feel depressed and exhausted, ashamed etc. One thing I do (and this only works with an older child whom you're certain won't hurt herself, and to be honest, I'm not... but i keep an eye on her) is to remove YOURSELF from the situation. I have had to do this sometimes. If she is endangering me, I will tell her I am going to go away into my room until she is ready to solve her problem. And that I am there to help her solve it when she calms down. I keep reminding her of this like a broken record. I don't come out until I hear her quiet down. If I hear anything weird I peek out to make sure she is not hurting herself. But I've found sequesting myself works better than trying to restrain her, and it's safer and less abusive too. 6'5" teenager has a meltdown>>his meltdowns often result in him wanting to RUN>>he'll be out the door & down the street and he is totally BEYOND reasoning>>he just wants to get AWAY....our latest little escapade today has left ME bruised & battered..my main goal is to keep him in the house & safe..
Have his father hold him. No wonder your kids are having issues, who lets their kid get that fat, you should be locked up. Excellent analysis, especially for parents struggling to get the medical profession to make a diagnosis. Kids can gain weight because of medications that help and do work. Try are not the fix so please do not suggest that's why parents medicate. They can reduce meldowns but they still happen until the child is taught and can use the skills to calm themselves independently. For some it can be harder or not come to them at all. The worst thing you can do is call them fat or blame the parents or treat the child harshly. That is just doing more harm. It is worst when two parents are in disagrwment Moms mess up with these child because most moms tend to please their child in everything they want which it causes Them to become worst in theiir conditions this form of deal with them surely is sending them to end. Up jailed for not taking apropiate measures at early stage.